Residents of more than 500 homes had to evacuate due to an approaching wildfire in southern California late Saturday night. The Shirley Fire in Sierra Nevada had swollen to 810 acres by the time authorities evacuated parts of Wofford Heights, an area northeast of Bakersfield. Wofford Heights is just a mile from where the fire is most active – and despite efforts to quench it, the blaze at the time of evacuation was only five percent contained. 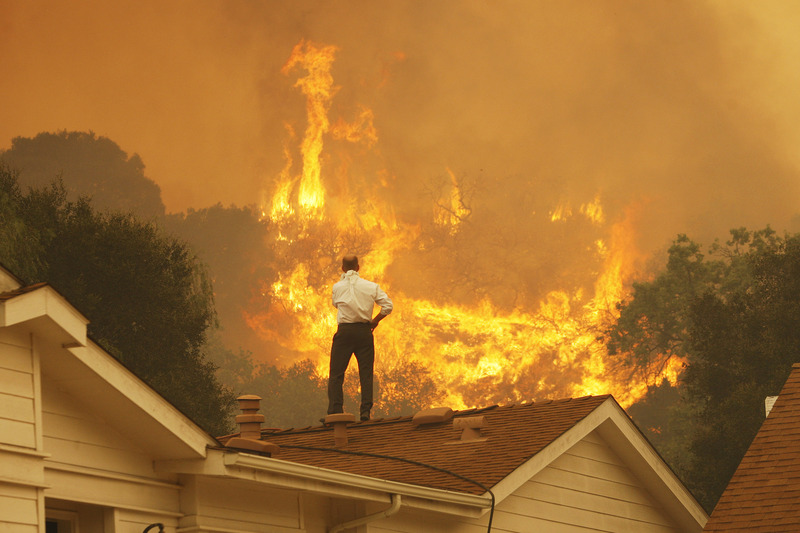 The peak of California's wildfire season is usually during the dry summer and early fall, and California's 20 biggest wildfires on record after 1932 have all fallen between June and October. But this year, with its soaring temperatures and widespread drought, has proven unusual. The year's first fire started in January, and six more followed in that month alone. As of June 7 of this year, the California Department of Forestry and Fire Protection Services had responded to 2,118 fires – up from 1,781 fires at the same time last year. The five-year average number of blazes reported by June 7 is 1,255. Saturday night's Shirley Fire proved as difficult as any for the 275 firefighters battling the blaze. The area faces just 10 to 20 percent humidity and what a fire department spokesperson called "very erratic, shifting winds" going at up to 14 miles per hour. If the blaze can't be contained soon, conditions may worsen over the course of the week: winds could be gusting at 30 miles per hour by Wednesday. Shelters have been set up for those evacuated, and nearby residents who haven't been asked to leave their homes are still being urged to stay inside due to the extremely smoky conditions. So maybe don't risk going outside to take a few pictures.